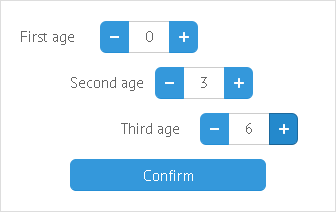 Counter is a spin-box that helps select a number by either entering the value in the input field or clicking "+" and "-" buttons to reach the necessary value. max (number) - maximum value for a control. Note that if you set min and max parameters, the initial control value should be within the range.